Hair cleanser - Safety for hair and treatment for diseases. 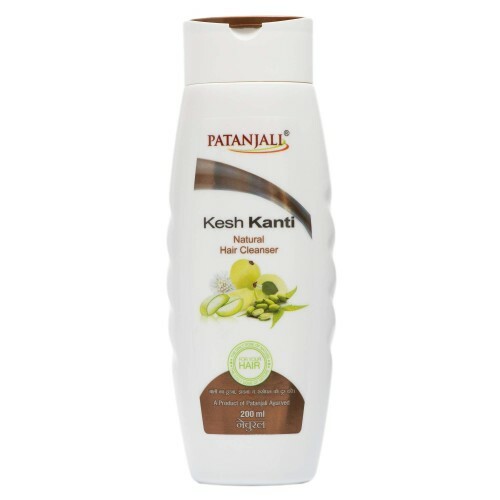 This gives beauty to the hairs, treating dryness and dandruffs. `Bhrigraj`, myrtle (mahendi), acadia concinna (shikakai) and emblic myrobalan (aola), give new strength to the hairs. Soap nut (ritha), margosa (neem), Indian valerian (tagar), esculent fiacurtia (bakuchi) and turmeric, fights with the insecticides and are effective disinfectants, particularly in the root of hairs. Aloe vera, `aola` and `kesh kanti` stops hair loss and hair turning grey and keeps up shinning.